Install professional quality moulding and create elegance in a snap. This collection of Quick Clips crown moldings is a patented, award-winning, revolutionary molding installation system that changes the way moulding is installed. A quick and easy installation that requires no nail holes to patch, no adhesive to use and incorporates molding blocks to eliminate the need to miter corners. A very quick and easy installation prefer for the Do It Yourself. Simple multifunctional trims available in many sizes for any variety of projects imaginable. Use panel moldings to instantly and easily create frames on walls and ceilings. 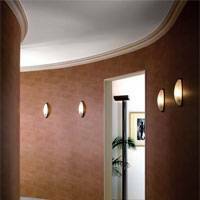 Flexible moldings offer an excellent architectural design solution for walls with a concave or convex curvature. Category consists of pre-formed rigid flex moldings. Other profiles may be custom made in flex depending on project's specific requirements.